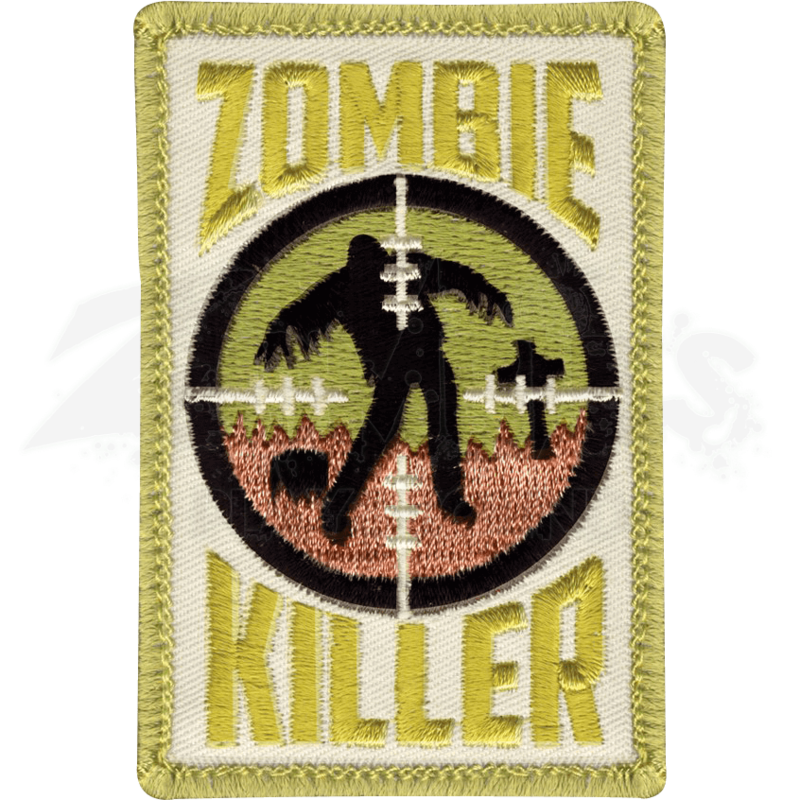 When the world ends and we are overrun with the undead you will want to wear a Cloth Zombie Killer Patch. Show everyone that you are fighting for humans with this original clothing accessory that will be admired by your friends. This item was carefully crafted from polyester and cotton thread to produce a daring look at the zombie apocalypse. With a hook backing you can apply this to any surface that has Velcro looping. This morale patch depicts the silhouette of a corpse walking through a graveyard. The outline of a rifle reticle is zeroed in on this zombie and ready to take him out. There is the phrase, ZOMBIE KILLER that is sewn into the top and bottom of this rectangular accent. 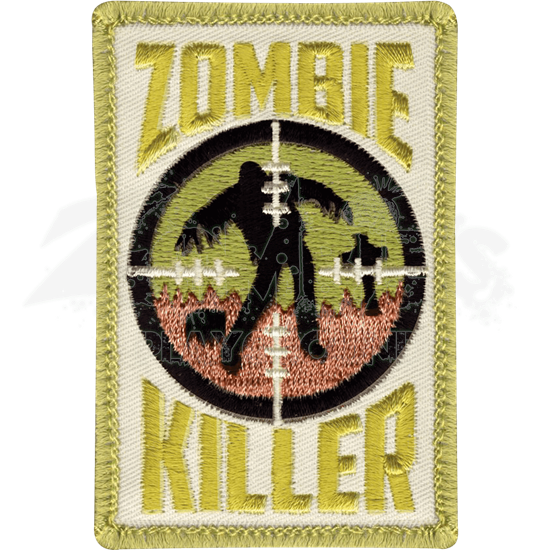 Give you gear or tactical clothing some attitude with the bold Cloth Zombie Killer Patch and get ready to hunt the dead.